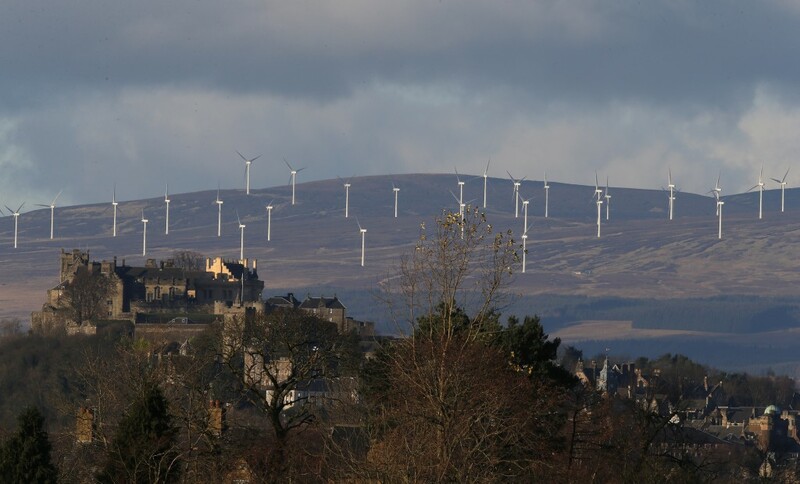 Scotland is about to join the countries pushing for maximum sustainability and renewable energy. A world run completely on renewable energy—it sounds to be an impossible feat, but in a some places around the world, people have stopped burning fossil fuels for electricity. Another country is about to join the club: Scotland. Scotland’s lush green countryside is home to a steady soldiery of spinning white turbines. These windmills help the country’s other renewables account for over half of the electricity production. Over the past decade, Scotland set ambitious targets in accomplishing sustainability in the communities consumption and expenditure in energy and transport. Impressively, they’ve accomplished each one. Their latest target reaches even further: 100 percent renewable energy by 2020. “We have a great resource…Scotland’s terrible weather.” said Niall Stuart, chief executive of Scottish Renewables, an industry association. Scotland’s journey to sustainability was shouldered by unity in its community, marked by “unusually broad” agreement about renewable energy. Unlike in other countries, there’s not much credence given in Scotland to the idea that climate change is a scam. Scotland’s strides towards renewability and sustainability even came with substantial economic gain, creating jobs, better infrastructure, and export revenues. Clean energy advocates will still be fighting an uphill battle. With the recent turn in the political support of renewables, development and further innovation stands to become more difficult. Even so, the country is leading the charge in unproven sectors of renewable energy production. Last month, the first large scale tidal power farm was unveiled off the coast. Scotland, together with other countries continually pushing for sustainable energy, give hope for a future of clean energy. It’s within reach, after all. Hopefully, the progress displayed will burgeon progress in other countries throughout the world.